The new private manager of the Hoosier Lottery, GTECH Corp., has a plan to dramatically boost revenue for Indiana government, but key details withheld by the state leave questions about whether the plan targets low-income residents. The company's one-year plan for the lottery was recently released at the request of The Indianapolis Star, but portions were blacked out at GTECH's urging to protect trade secrets, according to lottery officials. Among those details: The number of new lottery retailers GTECH plans to add, new games it plans to introduce, how much it will increase advertising and a diagram titled "retailer penetration targets by ZIP code." Still, the business plan does reveal some of the company's plans. One chart lists six corporate retail chains as potential targets for expansion -- most of which are discount retailers. The six companies are Dollar General, Family Dollar, Dollar Tree, Wal-Mart, CVS and Walgreens. The new details -- and those that remain blacked out -- are drawing concerns about who GTECH plans to target in fulfilling its promise to boost lottery revenues by $500 million over the next five years. "Everyone knows lotteries prey on low-income people," said Julia Vaughn, public policy director for Common Cause Indiana. "There aren't a whole lot of Dollar Generals up in Carmel." Studies have shown that while lower-income players already disproportionately fund the lottery, the state transfers lottery profits disproportionately to the wealthiest counties. 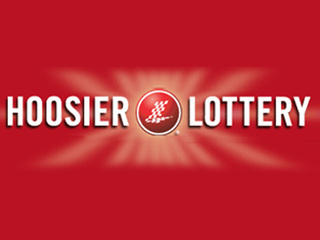 "I believe it would be a mistake for the Indiana General Assembly to stand by while a private company attempts to target the lottery sales growth based on any particular socioeconomic pattern, especially those who are disadvantaged," [said state Sen. Brent Waltz, R-Greenwood.] "My guess would be, if you cross reference those ZIP codes (of retailers targeted for expansion) with the lowest income areas, you'll find they have a lot in common." I would hope that the Indiana General Assembly and Governor Mike Pence takes a look at this issue come January. A lot of voters, both conservatives and liberals, would not like the idea of lottery tickets being hawked in stores (such as Wal-Mart and the Dollar stores) that are heavily patronized by lower income residents. Those people have enough trouble paying their bills. Our government should not be using the lottery as a method of extracting precious dollars away from people who are being sold the long-shot dream of having their financial problems solved by buying lottery tickets. Just think of it as a tax for the 47%. Paul, I really think you should see who the top lottery retailers are (and always have been) here in Marion County. Varan, I know they are mostly those that serve lower income people and/or in areas where lower income people live. I just don't want to make the problem even worse than it is now. You aren't going to stop people from buying lottery tickets. Many of these retailers are already selling Lottery. What the private company is suggesting is probably offering incentives for more stores to do it. Several CVS (mostly former OSCO Drug stores, since CVS as a chain doesn't support lottery) and Wal-Greens sell. I don't think Wal-Mart sells Lottery with cashiers, but they have Lottery vending machines that do it all automatically. I know the Meijer on 38th street does as well. I shop at all of these stores except WalMart. I am not poor. I certainly am not wealthy either but I lack nothing. I think your characterization of the demographics of these stores is not accurate. Try Family Dollar. They have lots of good buys. Varan, I didn't say I expected to stop it. I just don't want to make it easier for poor peopel to buy lottery tickets. I shop at Walmart and the dollar stores as well as the drug stores mentioned in the article. They do have good buys. I'm not saying that middle class and even upper middle class people don't go into those stores. I was talking the average shopper. The average shopper there is not upper middle class.